On 2/2: Under the title of Freedom and Dignity, a number of Palestinian factions organized a solidarity stand with the detainees in the "Israeli occupation" prisons in the refugee camp of Sbainah, in the countryside of Damascus, amid the participation of dignitaries and personalities from the camp. 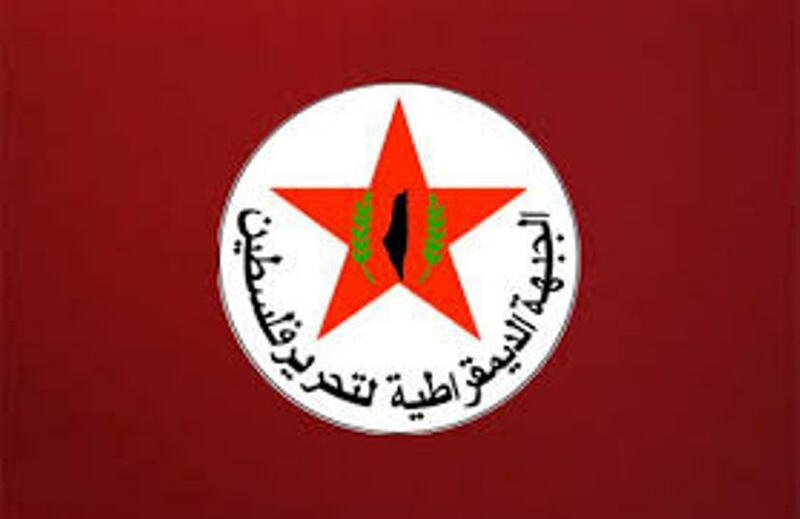 On 9/2: The Palestine Liberation Army in Syria, announced the end of its combat mission in the desert of Suweida, south of Syria, where it participated in the military operations alongside the Syrian state against Daesh . On 21/2: The delegation of the Palestine Liberation Organization organized a field visit to Yarmouk camp to see what has been done regarding the maintenance and restoration of the cemetery of martyrs in the camp, as well as the removing of the rubble and debris from its lanes and streets. On 25/2: A delegation from the Yarmouk camp, handed over a petition to the Governor of Damascus, signed by the Yarmouk refugee camp, demanding their return to their homes and properties in the camp as soon as possible. In his turn, the governor of Damascus confirmed that the governorate, is currently conducting a comprehensive study of the reality of the camp and devising appropriate solutions for it , pointing out that Yarmouk camp will not undergo any change, and that the governorate is serious about the return of the people to it. On 25/2: The Charitable Association for Palestinian Relief , in cooperation with the Palestinian Red Crescent Society, launched the ninth medical week for the residents of Yarmouk refugee camp in the southern towns of Damascus. The medical work includes inspection of the internal and cardiac services, public health, children and free medication. On 26/2: The residents of Al-Aaedoun camp in Hama, suffer from a severe humanitarian crisis, that has affected their livelihood in light of their lack of a stable financial resources. The residents also complain about the lack of fuel and the continued power outages of the camp for long periods of time. On 2/2: The National Committee for the Defense of Prisoners, held in the Israeli jails, organized a festival, in solidarity with the prisoners in Burj al-Shamali camp, under the title "Thursday of prisoners no. 181". The festival was attended by representatives of the PLO factions, national and Islamic forces, and Lebanese and Palestinian forces. On 2/2: The Palestinian-Lebanese Dialogue Committee is preparing to hold a meeting to discuss the latest developments regarding the rights and living conditions of Palestinian refugees in Lebanon. On 5/2: The secretary of the Palestinian Popular Committees of the PLO in Lebanon, called on the institutions of the international community, to provide humanitarian and relief assistance to the Palestinian refugees there. During a tour inside Rashidieh camp, he stressed that the Popular Committees, are working hard to meet the interests and the needs of Palestinian refugees and displaced from Syria to Lebanon. On 5/2: The Palestinian woman Mariam Musa Issa, born 1932,displaced from Syria, from the Yarmouk refugee camp to Ain El-Hilweh camp, suffers from heart disease, heart failure, and a pacemaker, which does not work, and she is in desperate need of a Pacemaker Implantation transplant that she cannot afford. On 6/2: The Federation of Relief and Development Societies in Lebanon and the International Committee of the Red Cross, launched a campaign to register and treat all persons suffering from war injuries and gunshot wounds in Lebanon. On 6/2: The Palestinian Association for Human Rights (witness)issued a report on the reality of the Shatila refugee camp in the center of the Lebanese capital under the title: "Opportunities for a decent life are diminishing and officials are not serious about finding solutions." On 16/2: The Lebanese Academy for Training and Development in the city of Sidon, announced the start of free training courses in several fields for young people aged 15 to 24 years, including young Palestinians coming from Syria. On 17/2: The Palestinian girl "Maria Tamer Abu Azara", three years old displaced from Syria, died in Lebanon, after the family's many appeals to humanitarian and medical organizations failed to take care of her. As she was suffering from leukemia and needed immediate help. On 9/2: The Palestinian Hamza Mohammed Rushdi Eshteiwi, (17 years) and Hassan Iyad Shalabi (14 years) were injured by the Israeli occupation forces in Khan Yunis. Several citizens were suffocated during the Israeli occupation forces' repression of the participants on the 45th Friday of the marches of return and breaking the siege, along the eastern border of the Gaza Strip. On 13/2: Hassan Nabil, 17 years, from Nuseirat refugee camp in the central of Gaza Strip, was martyred due to wounds , sustained in the east of al-Bureij refugee camp. On 4/2: The Israeli occupation army closed the Ramallah-Jalazun road by the iron gate. It explained that the citizens are forced to use the Sarda road to reach the Jalazoun camp and the northern areas. On 10/2: The IOF closed the entrance of al-Fawwar refugee camp in the south of Hebron. They also closed the iron gate at the entrance of the camp and prevented the exit of vehicles of citizens. On 3/2: A number of Palestinian civilians were suffocated by the Israeli occupation forces firing of tear gas canisters at the civilians' houses at al-'Arroub refugee camp, north of Hebron. On 18/2: Two "children" were abducted from Shu'fat refugee camp by undercover units. Local sources in Shu'fat refugee camp reported that the "abductors" suddenly kidnapped Yasser Qersh and Zine al-Debes from the main street in the camp. On 21/2: Dozens of citizens were suffocated during the clashes with the Israeli occupation forces in al-Fawwar refugee camp in southern of Hebron. Israeli occupation forces also fired poison gas, tear gas and rubber-coated metal bullets at citizens. That caused the injury and suffocation of dozens of residents of the camp who were treated on the ground. On 21/2: Israeli occupation forces arrested a Palestinian youth in south of Tubas. Local sources reported that the Israeli army arrested Mahmoud Ali Walweel from al-Fara'a refugee camp south of Tubas, while passing the Za'tara checkpoint, south of Nablus. On 21/2: Israeli occupation forces arrested Ahmed Nasser 'Adawi, 15 years, from his house in Qalandia refugee camp, north of Jerusalem. IOF also arrested 'Emad Abu Sneineh and Mohammed al-Shawish as soon as they left Al-Aqsa Mosque. On 24/2: Medical sources said that a Palestinian youth, 18-years-old, from al-'Arroub refugee camp, was wounded in the foot by the Israeli soldiers. They added that he was taken to hospital for treatment and was moderately wounded. On 2/2: Hundreds of Palestinian refugees from Syria, who have resorted to Europe during the past years , suffer from numerous difficulties, especially the learning of the new languages of these towns, especially the Nordic countries, which constituted an obstacle for them to integrate and work in these countries. On 3/2: The German authorities detained the Palestinian refugee "Samah Daqaq" for deportation to the State of Latvia in Eastern Europe, because she had obtained asylum in Latvia before arriving in Germany. On 3/2: The Preparatory Committee of the Third Conference of the Palestinian Refugees in the (EU) held its first meeting in the presence of the Chairman of the Committee and member of the Executive Committee of the Refugee Association. The Committee approved to hold the conference in the city of Uppsala, Sweden, in the last week of May 2019 under the slogan (Our strength is in our unity). 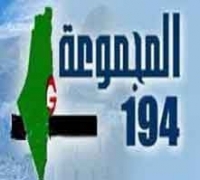 On 5/2: The Popular Conference for Palestinians abroad organized a seminar in Beirut about the "Palestinian refugees issues and the right of return in light of the international and regional challenges", with the participation of researchers and specialists on the Palestinian refugee issues. On 12/2: The Turkish Coast Guard rescued 13 Palestinian migrants, including six women from drowning, and reported that a technical fault had disabled the migrants' boat before reaching the shores of Bodrum, Mugla. On 13/2: The young Palestinian refugee from Syria, Mohammed Adnan Talal Amouri, 24 years, was lost during his exist in Germany, and nothing was known about him. The young man was born in Yarmouk refugee camp and was forced to immigrate to the Netherlands. Then he left it to Germany, he also suffered from many diseases. In turn, his family appealed to the international and humanitarian organizations, institutions, and those who have information about him. On 23/2: The Palestinian refugee from Syria, Assem Hossam El-Din Taleb was crowned as a champion of the Swedish Open Karate Championship. Assem is from the Yarmouk camp. He won the first place in many competitions, including the Swedish Karate Championship and the gold medal for the fourth time. On 24/2: The "Khairu Umma" Association distributed its assistance to the Palestinian families in Mersin. The Association said that it distributed 50 BIM cards to the families of orphans and the difficult cases by 100 TL for families consisting of three individuals, and about 150 TL for the families of four and more. On 26/2: The Palestinian refugees from Syria in the Kingdom of Thailand expressed their anger and indignation at ignoring their cries and appeals, in which they appealed to the Palestinian President Mahmoud Abbas, and the international human rights and civil institutions, to intervene to end their suffering and release detainees in Thai jails. On 14/2: The German Embassy and the German Development Bank (KFW) with (UNRWA) in Nahr al-Bared camp, announced a new contribution (worth 21 million euros ) by the German Development Bank to the reconstruction of the camp. On 22/2: UNRWA announced that the Japanese government had donated $ 23 million for the relief and employment of Palestine refugees in the Near East. UNRWA explained that the Japanese Ambassador for Palestinian Affairs, the representative of Japan to Palestine, had signed the donation agreement with Commissioner General Pierre Krähenbühl. On 27/2: The EU representative at (UNRWA) headquarter in East Jerusalem, signed a donation agreement between the European Union and UNRWA, in support of the Agency's program budget for 2019. Under this agreement, the European Union provides a € 82 million to support UNRWA's human development work for this year. On 1/2: UNRWA announced its commitment to support and assist Palestinian refugees in all areas of its work. Claudio Cordone added that the efforts of donor countries have helped overcoming the crisis so far. On 2/2: The official spokesman of "UNRWA" Sami Musha'shaa said, we want $ 1 billion and $ 200 million to manage our emergency and regular services, including $ 750 million for regular services and the rest for emergency services". On 5/2: UNRWA in the Gaza Strip revealed that it has presented its vision of how to benefit from the Qatari grant and when the final approval between Qatar and UNDP is done, it will be announced. On 10/2: The Association of Displaced Palestinians from Syria to Jordan, called through its Facebook page, the Palestinians displaced from Syria to gather inside UNRWA headquarters in to demand their rights. On 11/2: Palestinian refugees from the Handarat refugee camp in Aleppo, called on UNRWA to assist them and rebuild their destroyed homes in the camp. In a petition to the Agency, the petitioners said that the UNRWA should seek to pay rent allowance, not to cut the food basket, and to achieve justice between the displaced and the afflicted people. On 13/2: Palestinian families from Syria to Jordan, organized a sit-in in front of the headquarters of UNRWA to protest the austerity policies in all medical, relief and educational fields followed by UNRWA, and to call on it to provide them with their demands, including the payment of monthly aid to the Palestinians displaced from Syria. On 13/2: UNRWA Commissioner-General Pierre Krähenbühl, during his visit to the Ein el-Hilweh and Rashidiyah camps in southern Lebanon, confirmed the UNRWA 's commitment to continue providing its services to Palestine refugees. On 14/2: UNRWA confirmed that 40 countries have raised their financial contributions to the Agency following the US administration's decision to cut aid. The UNRWA Commissioner-General described the US decision as "political," pointing out that it was the "biggest challenge" faced by the Agency. On 16/2: The Commissioner-General of (UNRWA) revealed the details of the Agency's efforts to overcome its financial deficit. Krähenbühl confirmed that the United States cutting of its funding for UNRWA, was the biggest challenge that this international organization faced. Where UNRWA launched a global campaign entitled " Dignity is Priceless ". On 16/2: “The Association 302 for the Defense of the Rights of Refugees” issued a press statement in which it praised the visit of the Commissioner-General of UNRWA and the accompanying delegation to Lebanon, which lasted for three days, where he met with Palestinian political forces, popular and civil committees and civil society institutions, and he visit the UNRWA centers, and made field tours in the streets and alleys of the camps, in addition to the meetings with Lebanese and Palestinian official concerned parties. On 17/2: UNRWA in Syria announced new measures to be taken during the year 2019 regarding financial and food assistance to Palestinian refugees. Media sources quoted the agency's page as saying that it will distribute the (financial and food) aids to the Palestinian most needy families in Syria “only”, based on criteria set by the Agency. On 17/2: Israel denied its request from Germany to increase its aid to UNRWA, pointing out the incorrect statements by officials in the German Foreign Ministry in this regard. The Hebrew newspaper "Israel Today" quoted from sources in the Israeli Foreign Ministry as saying that requesting Germany to increase its aid to UNRWA was not true. On 18/2: A number of residents of Nayrab refugee camp in Aleppo organized a protest outside UNRWA headquarters in Nayrab area, against UNRWA's recent decisions to distribute humanitarian aid to the most needy families in 2019, and to exclude thousands of Palestinian families in Syria. On 22/2: The Director of UNRWA’s Affairs in Syria said: "After eight years of conflict, Palestine refugees remain one of the most vulnerable groups in Syria and have enormous humanitarian needs". He added:” I look forward to ensure that UNRWA continues to provide quality services and emergency assistance to support Palestine refugees”. On 18/2: UNRWA announced the appointment of the Ugandan Amania Michael Ebie, as director of its affairs in Syria, replacing the Somali Mohammed Abdi Adar. On 21/2: Al-Tira Committee and the owners of shops affected by the recent clashes in Ain El-Hilweh camp, organized a sit-in in front of the UNRWA director's office in the camp, to demand the financial compensation for them, like the homeowners.